Features: Flexible control of watering duration and frequency design. Saves your water at affordable prices. Heavy duty weatherproof construction for long time using. Extra-large LCD display,you can see the information more clearly. You can easily turn your hose faucet into a programmed sprinkler system in minutes. Easy to use and to operate at affordable prices. Perfect for your plants,flower watering. .
Trending at $20.47eBay determines this price through a machine learned model of the product's sale prices within the last 90 days. New in the original box with instructions. Just like the picture. The Single-Dial Water Timer will turn your hose faucet into a programmed sprinkler system in minutes. No more dead plants because you forg to water them. No more soggy lawns because you forgot to turn the water off. Just set the timer and go! With a large digital display, oversized dial, and simple controls, programming is fast and easy. Built with high quality materials and water-resistant construction, you can count on many years of dependable service. One dial allows complete timer control functionality. Cycles easily from set clock, set watering time, how often, how long, then run program. A rain delay is built into the run program function. A manual button allows program interruption. 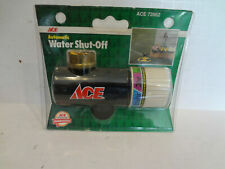 Saves water in drought conditions.. Program precisely when to start watering, when to stop watering. Features a swivel coupling for easy and quick connection without any need for tools. 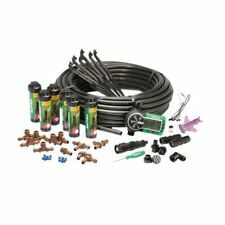 Water sprinkler irrigation setup is a breeze with the simple and easy to follow instructions. Trending at $80.30eBay determines this price through a machine learned model of the product's sale prices within the last 90 days. UNBEATABLE USABILITY. Wifi connection is 2.4 GHz required. Supports dedicated 2.4GHz and dual-band networks. Cannot operate on 5 GHz only networks. Compatible with master valve, pump relay, or indexing valve. No more soggy lawns because you forgot to turn the water off. Just turn the dial and go! Its ergonomic swivel and high-impact construction make for a long-lasting product that's also easy to install. Operates like a remote onsite and provides complete access to the irrigation system while offsite. LNK WiFi Module. Communication with module via module Access Point (hotspot); Communication with module via local area network; Communication with module via Rain Bird relay server. Hose connection: 13mm(1/2\") - Suitable for all known plug-in systems. The user can set the program you want. 1-16 Set of water programs. Water Pressures: Max. Water Temperature: Max. Working, used battery backup. 8 zones, programmable. Bought new and selling because I needed more zones. Comes with AC adapter. The Hunter Wireless Rain-Clik?. The unique Quick Response?. HUNTER WIRELESS RAIN CLIK WEATHER SENSOR - NEW VERSION! Hunter Wireless Rain-Clik. Have a plot plan?. I can design. Have a technical issue?. 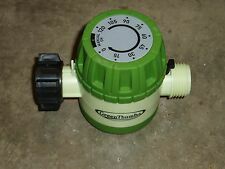 Rain Bird Station Irrigation Sprinkler System Controller Timer. Condition is Used. No front cover, can be used without or in a custom enclosure. Two modules installed. Manual watering allows you to water suddenly without interrupting the schedule already set. Watering Duration: adjustable 1 minute~240 minutes. WARNING: This product contains lead, a chemical known to the State of California to cause cancer and birth defects or other reproductive harm. Irrigation and Fittings. > Impurity water allowed,attached to 3/4"(19mm) or 1"(25mm) tap or faucet. 5Tier Plant Stand Flower Pot Shelf Wood Rack Display Garden Wooden Step Outdoor. 7PC Patio Wicker Furniture Sofa Garden Rattan Set Sectional Cushion Seat Outdoor. Set and forget! Programming, set-up, and scheduling are very simple! 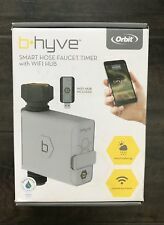 ORBIT B Hyve 21005 Bluetooth Smart Hose Faucet Timer Water Control Outdoor Yard. Condition is New. Shipped with USPS Priority Mail. Trending at $26.20eBay determines this price through a machine learned model of the product's sale prices within the last 90 days. Features:Rain delay for water conservation.Extra-large LCD display, easy to read.Super-simple programming gives flexible control of watering duration and frequency.Heavy Duty weatherproof construction, durable for use.Easy to set up and use, low power consumption.Descriptions:Simple, easy installation and programming. There is no need for tools.Construction with irrigation applications in gardens, yards, greenhouses, flowerbeds, and etc.Specifications: Material: plasticColor: greenSize: 150x95x55mmPackage size: 170x125x75mmPackage Included:(2 Pack)2 x Electronic Water Timer 2 x User ManualNotes:The real color of the item may be slightly different from the pictures shown on website caused by many factors such as brightness of your monitor and light . 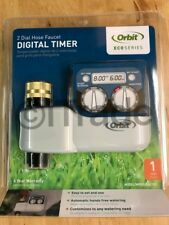 Orbit 1-2HP Gray Pump Start Relay for 24V Sprinkler Systems #57009 BRAND NEW!